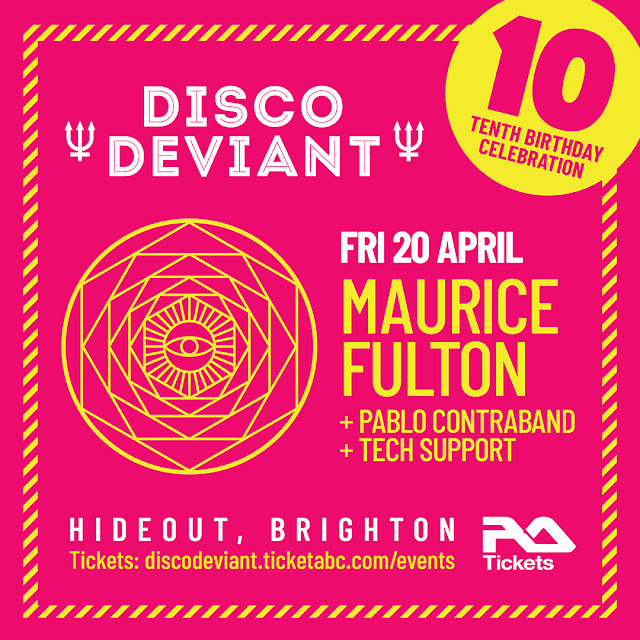 Disco Deviant: Maurice Fulton returns to Brighton on April 20 for Disco Deviant's 10th Birthday at Hideout. Maurice Fulton returns to Brighton on April 20 for Disco Deviant's 10th Birthday at Hideout. Maurice Fulton has been a huge influence and a constant feature of so many DJ's sets. His productions are like no-one else's we can think of, perfectly fusing genres and vocals within a framework of super tight percussion and killer bass lines. His remixes for Rhye, Roisin Murphy and Alice Smith demonstrate this outstanding ability perfectly. We are so happy to welcome Maurice back to Brighton to play a 3 hour set and celebrate the 10th year of Disco Deviant with us all. 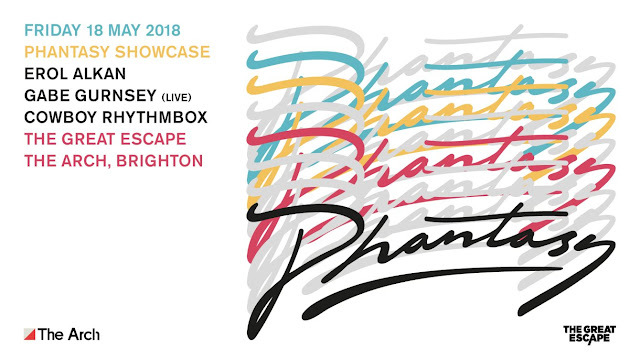 Disco Deviant mainstay Pablo Contraband will be joined by our newest resident and Unity stablemate Tech Support for a night of disco excess at our new favourite, Hideout. Tickets are also available in Resident on Kensington Gardens, Brighton. ALSO on sale is our offering for The Great Escape this year - Erol Alkan joins Pablo Contraband for a Phantasy Showcase featuring Gabe Gurnsey and Cowboy Rhythmbox.